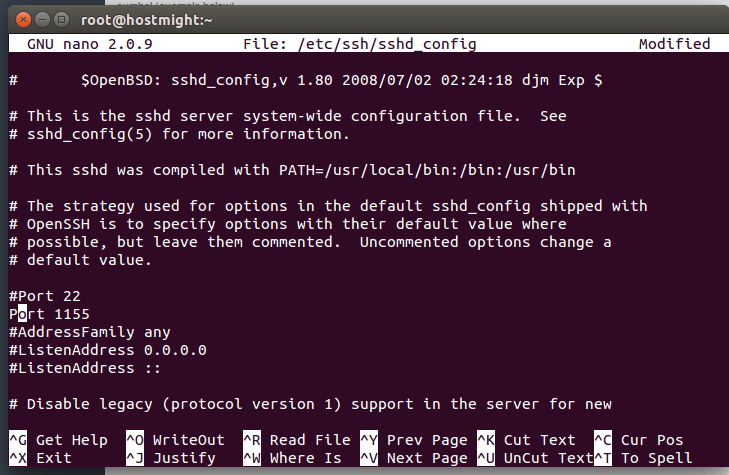 How To Change The Default SSH Port in CentOS, the default SSH port is 22 ,you can change the default SSH port , you can easily do it.you need to make a little change on sshd_config files. 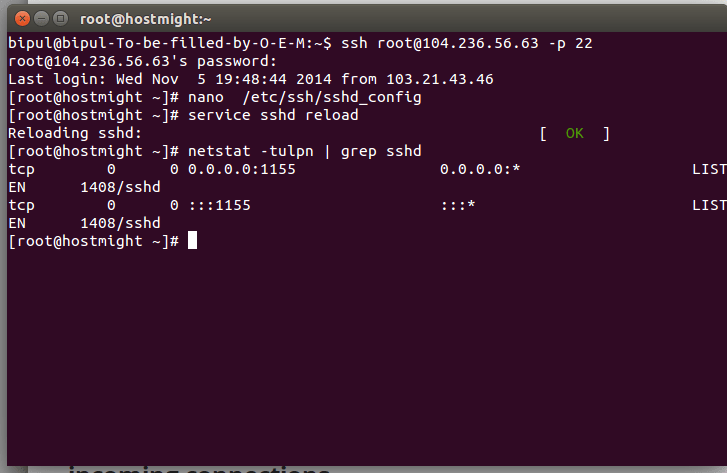 The default port number is 22 & now we are going to change it to 1155. 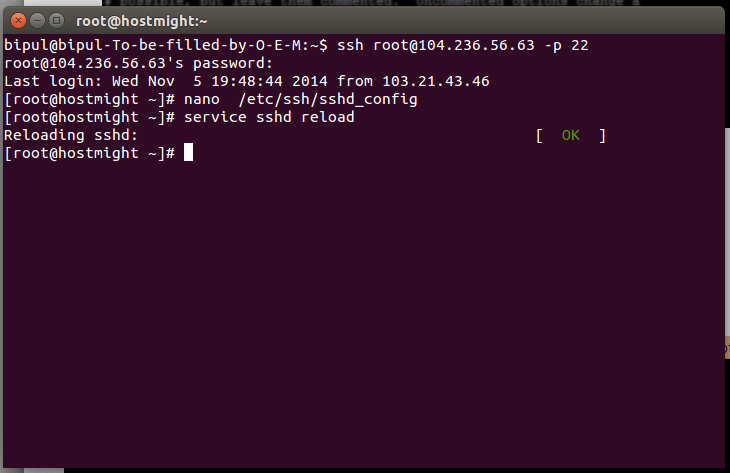 Step 1: Open the SSH config file. Add a New line with your New port. please see following the picture , I have added a new line ( Port 1155 ) under the line , #port 22 . you can change port from 22 to any other. I have changed the port 22 to 1155.
now save it , & now your new port is 1155. You should see two entries with the status of “LISTEN” With new port. Note: If you have firewall on server , Please ensure you update your firewall/iptables and ensure the new port is allowed for incoming connections.